Now is the season for Open Enrollment at many companies and presentations are being given on employee benefits and the audio recording of those presentations requires translation for narration. In our specialization of translation of healthcare human resource communications, our clients come to us with presentations done in PPT or Articulate and the notes on those presentations are recorded by a Spanish speaking Narrator so that the presentation can be shown with different groups of employees during multiple times/shifts during the day. It’s a cost effective way for organizations to educate their workforce on the changes for the new open enrollment year with health and financial benefits. Translate everything so that the narrator does not have to translate in their head when doing the voiceover. This includes all numbers. 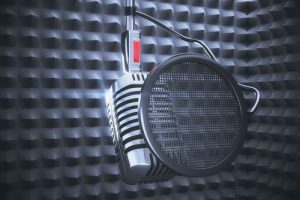 Typically, when doing a translation for narration project, we translate those and then put the actual number in ( ) after the translation so that the narrator has that visual cue. Yes, you’d be surprised that a mistake can be made in narration. This ensures that there is no guesswork on the part of the narrator. If audio tracks in the foreign language are to be placed on a video over the English tracks, timing will be an issue. The issue of timing is handled in the translation. Typically this falls on the editor to edit the translation for narration against the source timing to make it fit better. Languages such as Spanish can be lengthier by approximately 20% or more. Always have a separate native language speaking director with your narrator in the studio. If you want the narrator to do a self edit and listen to his recording, he may not catch an error that he has made. This may be a pronunciation error that he has fossilized in his speech. A director is the quality control for speed, clear and correct pronunciation and audibility. Practice is required on the part of the translator and also on the part of the narrator. Let’s look at the translator’s role in translation for narration. After translation is complete, the translator and editor work together to read the translation out loud and find any places that may be difficult for the narrator. There also may be edits made to stress key parts of a message for a voiceover. We recently had an example of this in an Open Enrollment translation of a presentation. English text: You can participate in rewarding challenges to earn points for healthy behaviors and enter sweepstakes to win prizes. Spanish translation: Puede participar en desafíos en los que obtendrá puntos por mantener conductas saludables y puede participar en sorteos para ganar premios. The translation was amended from the English source to reinforce the key message that “you can participate”. You can participate was added again so that a back translation would read as You can participate in rewarding challenges to earn points for healthy behaviors and you can participate in sweepstakes to win prizes. Voiceovers of transitions in narration can also be tricky. This is especially true with Japanese. Our regular Japanese translator prefers to speak with the chosen narrator before the narration to go over tone and transitions within the translation of narration text. Practice is also a quality control initiative for the narrator. We always include preparation time for our narrators to read through the script and practice doing the voiceover. The more familiar the narrator is with the script, the better he/she will be in the studio and make the time there more efficient. You don’t want to spend the studio time doing a lot of retakes – time=additional costs. This also give the narrator time to come back with questions on pronunciation. Typically we ask the client for pronunciation guidelines on any English language words/terms/phrases in the script. This may be the name of a Program, a software or website, or a company name. Does the client want it pronounced as it is in English or do they want it pronounced in English but with the native language accent of the narrator? It’s something to consider. We once had a name of a company that when pronounced in English with a Spanish accent ended up sounding like Trump. The client did not want that connotation. Here you can listen to the audio Spanish voice-over in which the English names were pronounced as they are in English. Can you hear the difference? 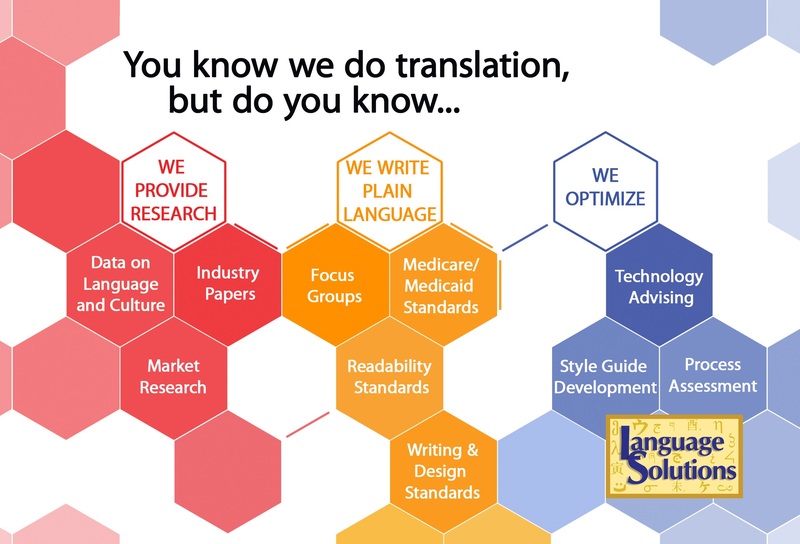 In addition to healthcare translations, we also have a Health Literacy Division for English language materials to be rewritten in Plain Language and for certain grade levels (Medicaid and Medicare both require this in healthcare translations). There are specific guidelines for readability. We use these guidelines when we also format a script for narration. Again – make your studio time efficient and make the script easy for the narrator to read. The guidelines we use are a 14 pt font and spaced at 1.5 lines. The script is also monolingual. We do not give the narrator a bilingual file showing the English and the target language. They are only there to read the target language so the focus is on one language. We do provide visual clues to break up the narration especially if doing a presentation. That visual cue may include the number of the Slide at the top of the block. We also break up the paragraphs for better readability and to indicate transitions. If we want particular emphasis on a word, we use the bold style to apply. Do you have a project that will require translation of a script for narration? Give us a call or contact us by email to talk it through.